Bernard not only remixed ACR's 'The Big E' single that became 'Won't Stop Loving You' for this LP but also added guest vocals to 'Good Together' along with Shaun Ryder. 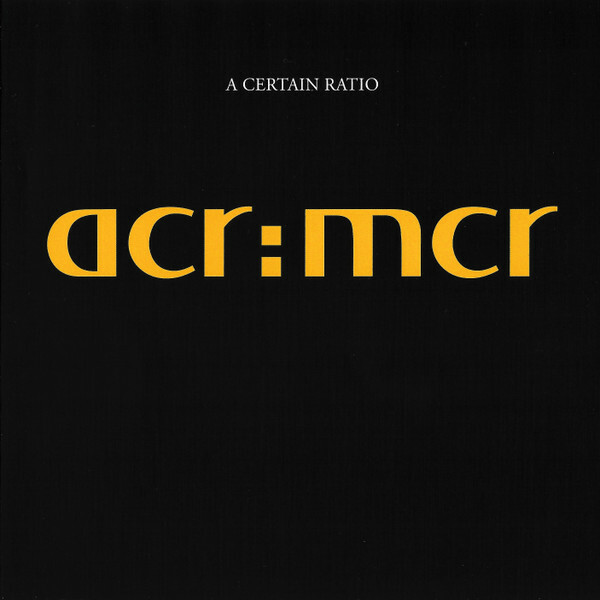 A great piece of 90s indie/electro/funk and probably my favourite ACR release, without a doubt. Plus Denise Johnson is all over it with her fab vocals. I got my copies yesterday and thankfully this is a tasteful, non-brickwalled remastering... louder in all the right places but no distortion. Recommended. i have the original cd single of 'good together'. you can barely hear bernard singing on it. also, the remix that he did for them is pretty average. I bought the CD single of Won't Stop Loving You back in 1990.It sounded great back then, think there's a radio edit type mix and an extended 6 minute version on the CD but haven't dug it out for years.It'll maybe sound a little dated now.That song and Shack Up are the only A Certain Ratio songs i could name.Oh and maybe Knives Cut Water or whatever it was called. Ashamed to say I've always been a bit lazy when it comes to A Certain Ratio. STILL LOVE THIS ALBUM !